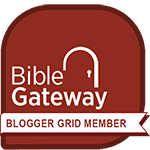 Kingdom Greetings, iBlog Readers! Ain't God faithful for bringing us this far? Of course He is! So let's end the year in style by feeding on what pleases Him; and that is good Gospel Music! Lest I forget, let me use this opportunity to communicate this to you: If you have been storing secular music in your devices, it is time to delete them; all of them! We're supposed to feed only on what pleases and brings glory to God, and help us grow spiritually. Secular music offers the opposite of these! Now, back to the reason why you came here... haha. It has been impressed in my spirit for a long time to compile this worship mixtape, and thanks to the Lord for enabling me to do it today. 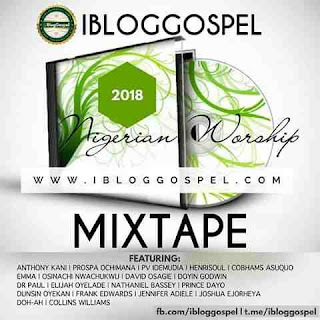 The songs in this Nigerian Gospel Worship Mixtape are carefully picked according to the leading of the Holy Spirit and there is no iota of doubt that they will bless and impact your life for good! All Glory goes to God Almighty for giving His servants Anointed songs. Credits go to every Nigerian Gospel Minister whose song was featured in this mixtape. Warning goes to copy-bloggers. 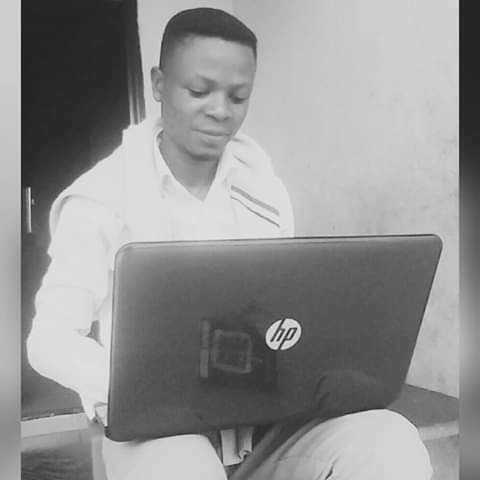 Don't hijack and paste the song on your blog, that's a lazy man's work. If you want to copy, simply go through the stress of making a unique mixtape that doesn't look or sound like this very one. Shalom! God bless you for listening and getting this worship mixtape. Please remember to share with as many as you can. Remain blessed! 4/ 5 stars - "[Official] iBlogGospel 2018 Nigerian Worship Mixtape"